Geddes, NY — State police have charged the former secretary of Geddes Town Supervisor Manny Falcone with eavesdropping on town employees in the town hall. 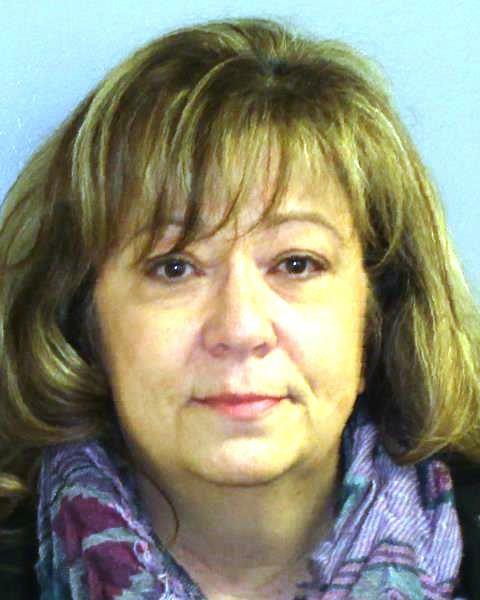 Ellen Colelli, 56, of 712 N. Orchard Road, is accused of using microphones attached to town security cameras to listen in on employees’ conversations. It’s a felony in New York to use an electronic device to listen in on conversations between other people without their knowledge. The investigation began in September with allegations of eavesdropping made by some town employees. The probe became public Tuesday when the Onondaga County District Attorney’s Office confirmed to Syracuse.com possible criminal activity. Tuesday, Falcone denied to Syracuse.com that any security cameras with microphones were ever installed or used at town hall. He said increased security in the past year was to guard against an “active shooter” or a disgruntled person looking to harm town employees. But a work order obtained by Syracuse.com appeared to show that at least one camera with a microphone had been installed this year in the main lobby. Another camera was removed from the town courtroom after a supervising judge learned of its existence. It’s against civil rights law to record court proceedings without permission of the judge. Colelli was issued a ticket to appear Jan. 5 in Solvay Village Court. State police said the investigation was continuing. It’s not known if anyone else will be arrested. Falcone would not say if he was under suspicion, repeating that he couldn’t talk about it.